Anyone who has watched a large ship slowly pass under an open bridge or into a lock is aware that it’s all about major forces and good maneuverability. When traffic across a bridge is heavy, ships must also pass quickly. This requires skill and precision from the ship’s crew, and bridge and lock operators. We have extensive experience of building user-friendly control systems with an excellent big-picture control perspective to allow both planned and unforeseen events to be handled quickly and safely. The solutions are based on industrial PLC and SCADA systems that control and monitor bridge machinery, lock gates and all the safety equipment such as CCTV cameras, barriers, traffic lights etc. Just over twelve movable bridges and six lock installations are controlled and monitored by solutions delivered by us. 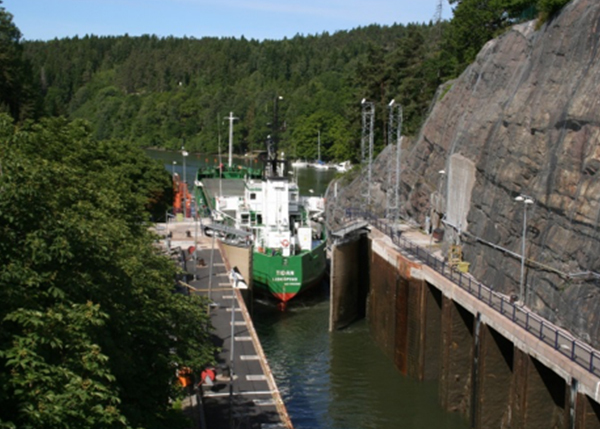 These include the Götaälv, Danvik and Falsterbo Bridges and the locks on the Trollhätte canal. An increasing number of locks and movable bridges are being modernized and equipped with remote control systems. Our solutions provide full control and guarantee a high degree of safety. 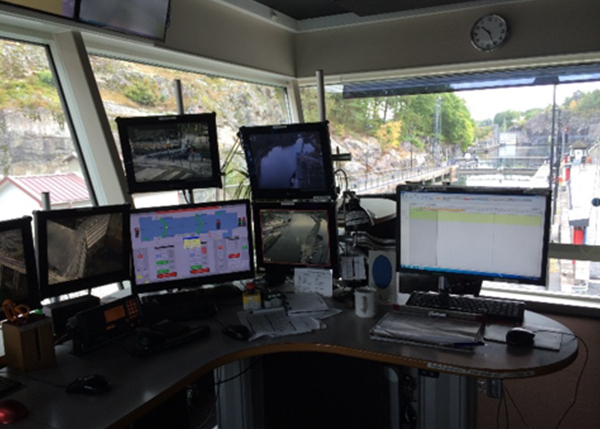 We bring together various subsystems into a functioning whole so that bridge and lock personnel have a good big-picture perspective and can perform safe maneuvers. 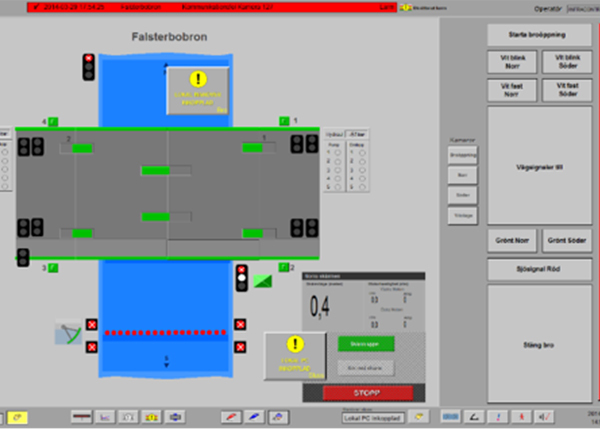 Using our simple, clear graphical user interface, operators have full control and can maneuver installations simply.